Even though I’m in central Texas and it’s not even that cold out, it’s like as soon as November 1 rolled around the moisture in my skin seriously got zapped out. Even my eyes feel dry (but I think that’s due to allergies and my meds). Anyway, here’s what I’ve using to make myself feel soft and moisturized. Although you wouldn’t think of it, it is really hard to find a strictly emollient moisture face cream in the drugstore. Everything is either oil-free for break-out prone skin or to treat wrinkles and aging skin. There just isn’t a lot for us dry-skinned ladies! Skinceuticals has some great face creams, but since I no longer work at a spa where I can get it for a great price, I’d rather use something I can afford. Anyway, I’ve been using Alba’s Pineapple Cleanser and Hibiscus toner off and on for awhile now, so I thought I’d continue the line and try the cream. At $20, it’s more expensive than most but I had an Ulta coupon! Also, it’s exactly what I’ve been looking for. A luxuriously thick cream packed with vitamin E and natural oils that absorbs quickly and leaves my skin soft. My only complaint is that it’s pretty heavily scented with jasmine, but it fades away fairly quick. A word to the wise: if your skin is in any way oily or break-out prone, don’t use this! 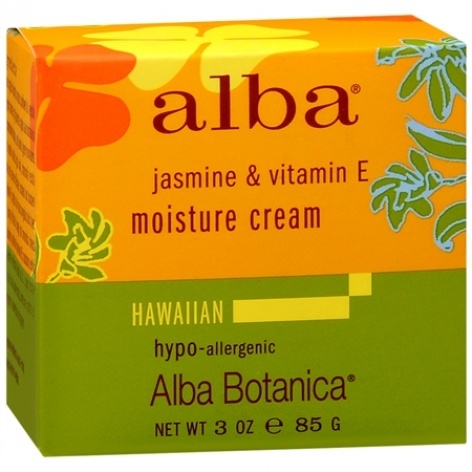 This is strictly for skin-so-dry-it’s-flaky-patchy-and-itchy. The cult favorite! I love this and keep a tin on my nightstand. Every night before I go to bed, I smear this all over my lips, going outside my lip line and also onto the sides of my nose and nostrils. I’ve also used it on my cuticles and my elbows, if those feel especially dry. I don’t typically keep this in my purse as it’s too greasy for me during the day (and I don’t like dipping my finger into it all day), but at night it feels wonderful and I wake up with baby soft lips. Bath & Body Works has a version of this as well, under their C.O. Bigelow line. I have a hard time with body moisturizers because I don’t really like anything heavily scented, especially if I’m going to wear it during the day. I don’t want my lotion competing with whatever fragrance I’m wearing (unless they are the are the same scent). Also, sometimes my legs will get red and irritated from some lotions. 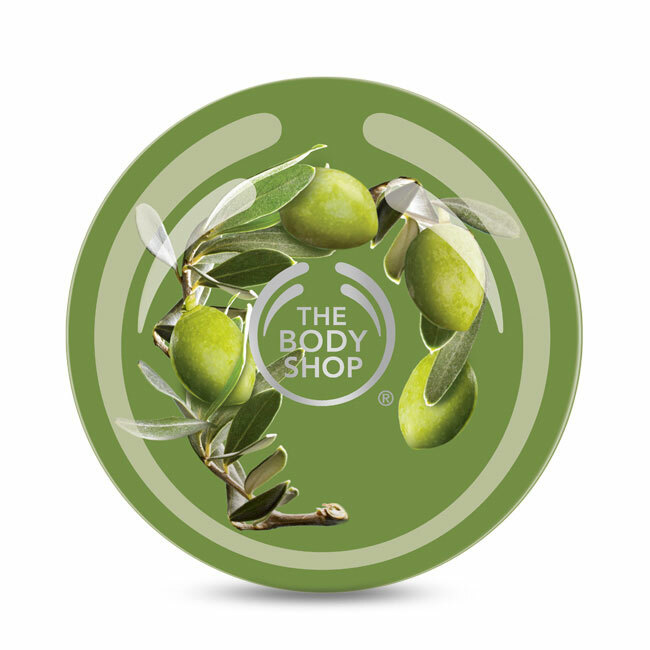 The Body Shop’s Body Butters are fabulous though! Super thick and fast absorbing, it really feels nice even when I’ve neglected my skin (as I tend to do). I love the Olive scent because it’s just neutral enough that it never overpowers but it still has a light, pretty scent. It also contains fair trade olive oil, which is great for extra dry skin and for humanity! Actually, I need to get another one of these because I’m out! Lastly, my hair needs help too. Dry hair = static like crazy for me. Moroccan argan oil is the new thing now, but I’ve been reluctant to pick one up till I saw this. The Garnier Moroccan Sleek & Shine is actually an oil blend, containing argan, apricot kernal and carrot oils, among other ingredients. I’ve used this in the shower as a treatment, alone and mixed with conditioner, on wet hair after the shower, and on dry hair after blowdrying/straightening (not all at the same time!). It’s AWESOME. 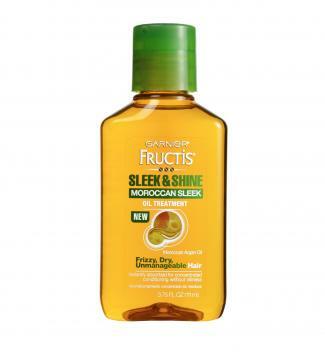 It’s a dry oil, so it doesn’t leave your hair feeling greasy, but definitely softer, sleeker and shinier. It smells great too! And it doubles as eye makeup remover in a pinch (use a Q-Tip!). 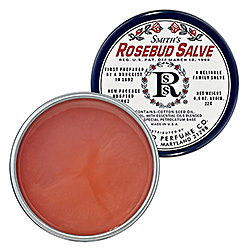 I have 3 tins of the rose salve from the CO bigelow line that you mentioned. I’m totally addicted. It’s totally comparable to Smith’s! I’ve also seen a Lavender scented one at B&BW too, that I want to try. I have the lavender too! I use it before I go to bed because I’ve heard that lavender helps you sleep.